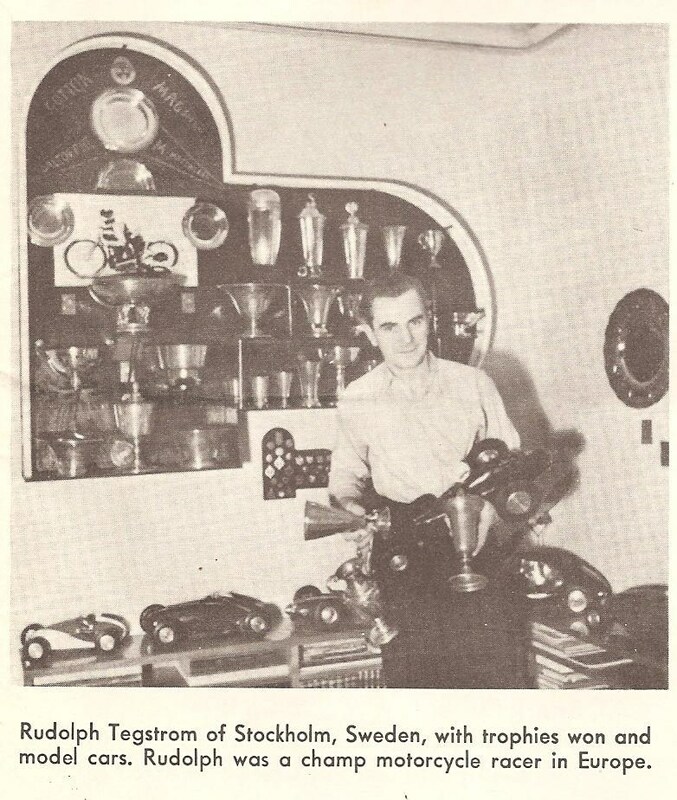 Rudolph Tegstrom was a skilled machinist who taught metal work shop in a school in northern Sweden. 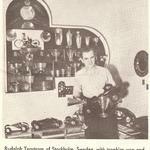 He was also a champion motorcycle racer and tether racer. 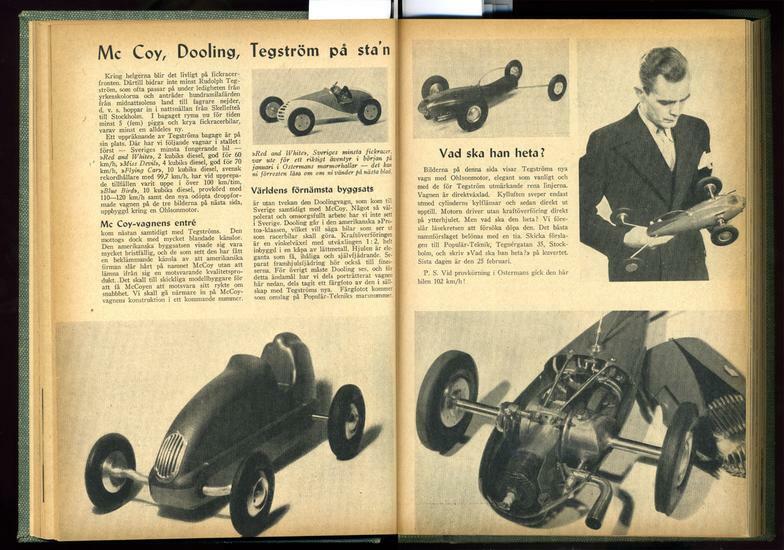 This car, which Tegstrom called his "Red and White Car", was formed from hand hammered sheet steel and is powered by a 2.5 cc diesel engine which Tegstrom built from plans which were drawn by Ivan Rogstadius based on the Swiss Dyno engine. 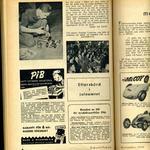 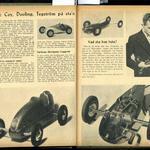 The car won the 2.5 cc class at the first Swedish National Championship races held in 1946. 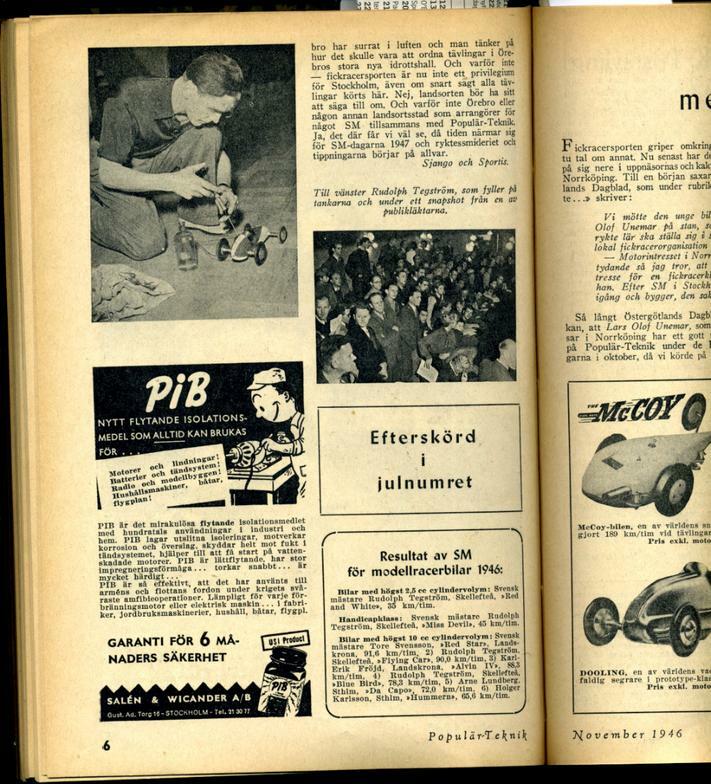 The car reached speeds in excess of 60 km/h at the indoor race track inside the Vinterpalatset dance hall in downtown Stockholm.